4 3/8" closed linerlock. 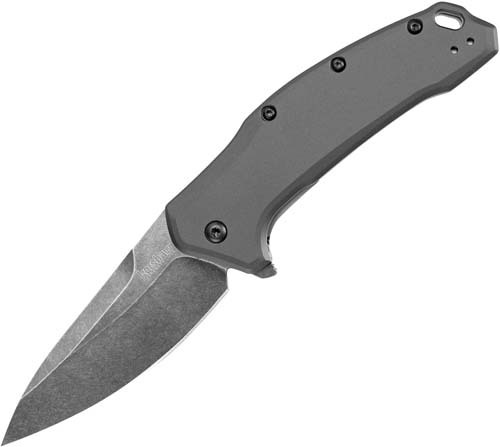 3 1/4" black-oxide BlackWash finish 420HC stainless drop point blade with flipper. SpeedSafe assisted opening. Gray anodized aluminum handles with lanyard slot. Reversible pocket clip.